This Registered Best Practice interactive training program is designed to prepare trainers, educators, and any interested adult to teach the most widely taught suicide prevention gatekeeper training program in the world. QPR stands for Question, Persuade and Refer, an emergency mental health gatekeeper training intervention that teaches lay and professional gatekeepers to recognise and respond positively to someone exhibiting suicide warning signs and behaviours. Like CPR, QPR uses a “chain of survival” approach in which the gatekeeper learns to recognise early suicide warning signs, Question their meaning to determine suicide intent or desire, Persuade the person to accept or seek help, and Refer the person to appropriate resources. The training is delivered in a standardised 1-2 hour multimedia format by certified QPR gatekeeper instructors. 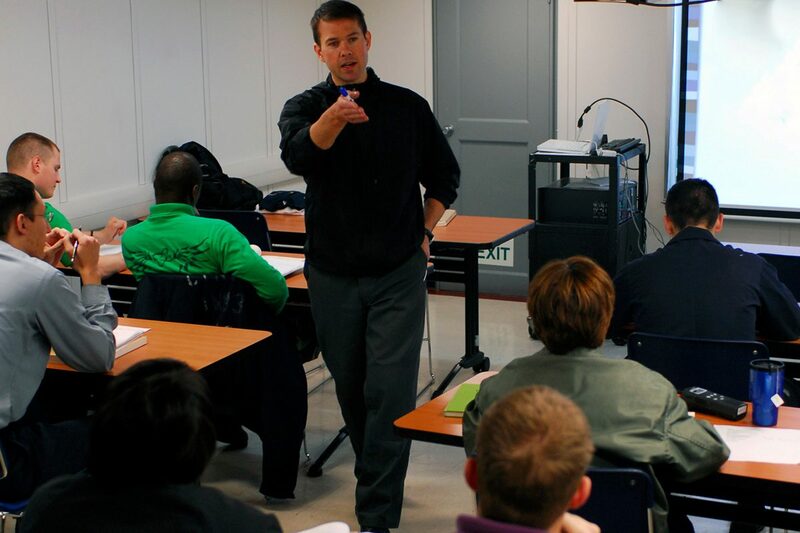 Certified instructors receive a minimum of eight hours of formal instruction, are certified for 3-year intervals. QPR gatekeepers receive a QPR booklet and wallet card as a review and resource tool that includes local referral resources. QPR does not include suicide risk assessment training. This certification course trains Instructors in how to teach QPR for Suicide Prevention to their community. It is assumed they are prepared and sufficiently experienced to stand before small audiences and deliver a short training program. Participants first learn about the scope of the problem of suicide, the role "Gatekeepers" can play in their communities, and about the nature of suicidal communications, what forms these communications take, and how they may be used as the stimulus for a QPR intervention. To gain perspective, participants are introduced to the history of suicide, suicide prevention and the spectrum of modern day public health suicide prevention education efforts. The history, background and research support for QPR are reviewed. After learning how to teach the core QPR curriculum using an official PowerPoint slide deck and how to answer audience questions, participants then learn to market QPR, set up training programs, and how target potential Gatekeepers in their communities. Participants also learn to deal with pent up audience demand to talk about suicide, how to help with survivor issues, and how to make immediate interventions and referrals. Each participant has the opportunity for individual rehearsal and practice through downloadable role-plays or with interactions with an online instructor. To gain the competence and confidence to teach others how to save lives and help prevent suicidal behaviours. Millions of suicide prevention gatekeepers needed! Trained suicide prevention gatekeepers have been shown to be effective in the early identification, intervention, and referral of potentially suicidal people emitting suicide warning signs to those around them. For suicidal people to be detected and helped before they make a suicide attempt, those around them - friends, family members, co-workers, fellow students or soldiers - must be trained to recognise suicide warning signs and how act quickly and boldly to intervene, offer hope, and accompany suicidal people to professionals for assessment and care. We have a saying about gatekeepers, "We must train hundreds to save one, thousands to save hundreds, and millions to save thousands." Only by training hundreds of thousands of QPR gatekeepers can we hope to make the early identification and referral of suicidal people routine. Once routine, like CPR is routine, we can then intervene when warning signs are present, refer, and begin treatment or counseling when needed. Only when millions are trained can we begin to restore hope to all who need it. To accomplish this massive task, we need thousands of Certified QPR Instructors. As of this writing, and mostly in the United States, we are training roughly 200 new instructors per month. As of this writing in early 2017, the Institute has trained more than 15,000 Certified Gatekeeper Instructors who have, in turn, trained almost three million gatekeepers worldwide! By taking this training and becoming certified to teach QPR in your community, city, province or country, you can join the ranks of our thousands of QPR instructors worldwide and begin training gatekeepers where you live. The QPR Institute believes in the "big tent" philosophy that everyone can help prevent suicide. Therefore, we invite any willing adult to learn to teach QPR. Like CPR, QPR instructors come from all walks of life: spiritual leaders, police officers, doctors, nurses, counselors, business people, lawyers, mental health professionals, college professors and others, including food service workers and bus drivers. Anyone can learn to teach others how to prevent suicide. Among our ranks of instructors are many who have lost a loved one to suicide and, through their training efforts, hope to help others avoid this terrible pain and suffering. While a medical, health professional, or mental health background is helpful to teach QPR, it is not a requirement. Besides, we will teach you a great deal about what you need to know about the relationship of untreated mental illness and suicide -- more than many mental health professionals even know. Our aim is simple: teach you how to teach others how to prevent suicide by using three simple steps and skills that all adults already know and have: How to Question, Persuade, and Refer someone who needs help. We know what we will teach you to teach others will work. Why? Because our university-based colleagues have spent 15 years researching QPR to determine if it is safe and effective. This training is not a substitute for an advanced degree in the helping professions, nor can it provide the face-to-face supervised experience professionals may need to successfully demonstrate the teaching skills taught in this course. Due to rapid developments in the delivery of QPR gatekeeper training online, as a Certified QPR Instructor you may have an opportunity to use your training and experience in what are called "blended" training programs. Basically, learners take basic QPR training online, and then meet with a Certified QPR Instructor (you) for an important follow-on question-and-answer period, skill rehearsal session/role-plays, crisis response and policy review, referral network development and other key elements to helping QPR training work as intended. Modularised in a rich mix of text, video, voice-over PowerPoint™ lectures, interactive practice sessions, and other state-of-the-art e-learning technologies, this instructor certification course is self-paced to suit the learner's schedule. The option of expert instructor time for consultation may be purchased at the time of registration. Role-play and practice sessions are downloadable and strongly recommended. To earn the Certified QPR Instructor certificate, the learner must complete all modules and pass all quizzes. The final exam, and licensing exam, must be passed to receive certification and to be listed among our certified instructors. After completing this course and training 250 persons in 10 or more training groups, and if interested, the QPR Institute further trains and licenses "Master Trainers." Master QPR Trainers learn to train and certify other instructors, join the Institute's faculty, and, if qualified, become contract employees of the Institute. Those with clinical backgrounds may also learn to teach our advanced suicide risk assessment and risk management courses and, again, join our faculty and become contract employees. Please note: This course does not include license to print. QPR Gatekeeper Course booklet, "Ask a Question, Save a Life", must be provided by the trainers to their trainees who are undertaking the course. These booklets are available to purchase from QPR Institute Australia. Please contact us via the contact form.